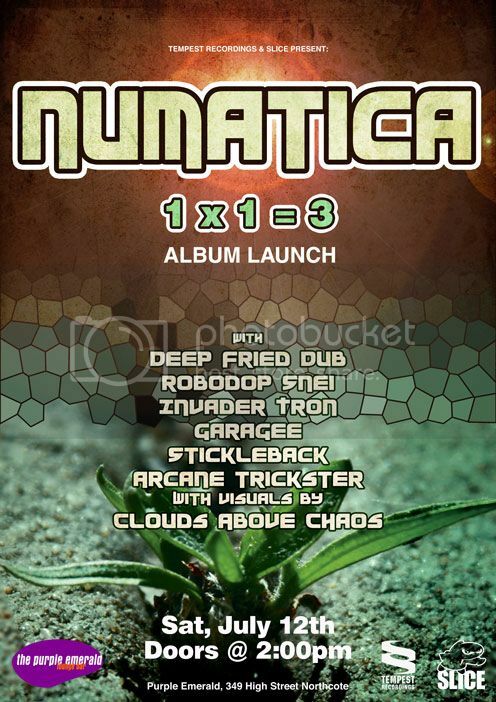 Numatica has completed his first film clip, to celebrate the launch of his new album "1 X 1 =3". We are proud to present "Evolver Dub" we think its pretty cool. The launch for the album is this Saturday, a matinee show at the Purple Emerald, 349 High Street, Northcote, with supports from Deep Fried Dub, Invader Tron, Arcane Trickster, Garagee, Robodop Snei & Stickleback. Visual by Clouds Above Chaos. 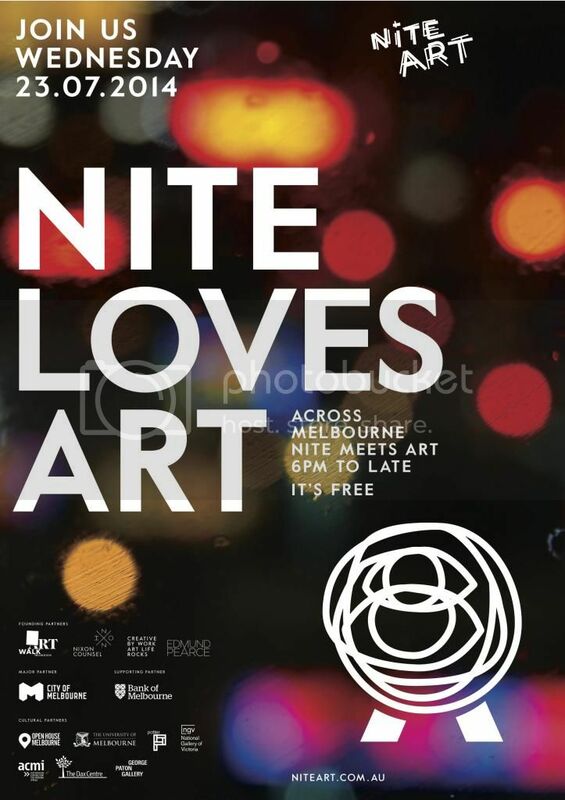 It all finishes at the Ian Potter Gallery, 800 Swanston Street, Melbourne with the Basil Sellers Art Prize 4 soundtracked by Tempest's very own DJ Arcane Trickster, open until 12.00 midnight. Entry is Free.